2017 was an eventful year for Toronto’s housing market. From mortgage rule changes to election focus and climbing housing prices, headlines scarred the reality of being able to purchase a home. In October 2017, The Office of the Superintendent of Financial Institutions (OSFI) introduced new lending rules on mortgages that have took effect on January 1 of this year. The new regulations make it more difficult for buyers to qualify for an uninsured mortgage due to the new minimum (and higher) qualifying rate. The new regulations now require Canadians, who plan to buy a home with a 20% down payment, to face a ‘stress test’ that ensure they will be able to cope with interest rates substantially higher than their original contract rate. The new regulation requires the minimum qualifying rate for uninsured mortgages to be greater than the five-year benchmark rate published by the Bank of Canada, or 200 basis points above the mortgage holder’s contractual mortgage rate — whichever is higher. In order to qualify for a loan, borrowers must ensure they can pay the interest on loans as high as 8%. For context, that is 365% higher than two years ago where some could qualify at 2.19% when regulations were lax and the Bank of Canada had not begun increasing rates. These rules also apply to any Canadian renewing or refinancing a mortgage. Previously, only insured borrowers had to undergo such a test. OSFI’s goal in designing these new rules were to protect home buyers from the potential for increased payments due to interest rate hikes. The rules ensure individuals are prepared financially for increased monthly payments up to 200 basis points. As a result, the buying power of Canadians entering the market is reduced depending on the size of the mortgage. Canadians putting 20% down on a home will see their money go a little less far compared to last year — up to 20% less. The new rules will also make it more difficult to shop your rate around if you are looking to renew your mortgage. If you fail to qualify at the new higher rates you will likely be stuck with your current lender. The Bank of Canada raised its benchmark interest rates twice last year, in July and September, after sitting out for nearly seven years. It is estimated that we can expect more hikes in 2018, even as soon as the first quarter. According to Statistics Canada, the Canadian economy added nearly 79,000 new positions in December, making Canada’s unemployment rate the lowest in over 40 years. The increase in jobs may set the stage for higher interest rates at The Bank of Canada. The central bank’s first meeting of the year is on January 17. In the event of further hikes, variable rates for borrowers will increase putting pressure on family budgets. According to a study by MNP, 77% of respondents said they would struggle with a $130 increase in payments on debts. Some argue however, that the potential for increased rates may also incentivize buyers to make a decision today as opposed to later in the year. The CMHC expects that between 2017-2019 there should be at most 160 basis points in mortgage rate increases. Housing price increases are expected to moderate in 2018, with expectations for flat or modestly higher home prices. The CMHC expects home sales to see modest growth in early 2018 before slowing down, as job growth, pressured affordability and modestly growing listings pressure prices. Offsetting the demand for new homes due to lower prices will be the increased demand for rental units. According the CMHC’s Fall 2017 Report, “Eroding affordability, an aging population and high levels of immigration will continue to support rental demand particularly in Ontario’s more expensive markets.” According to the Government of Canada, Canada will welcome 310,000 new permanent residents in 2018, 330,000 in 2019, and 340,000 in 2020. 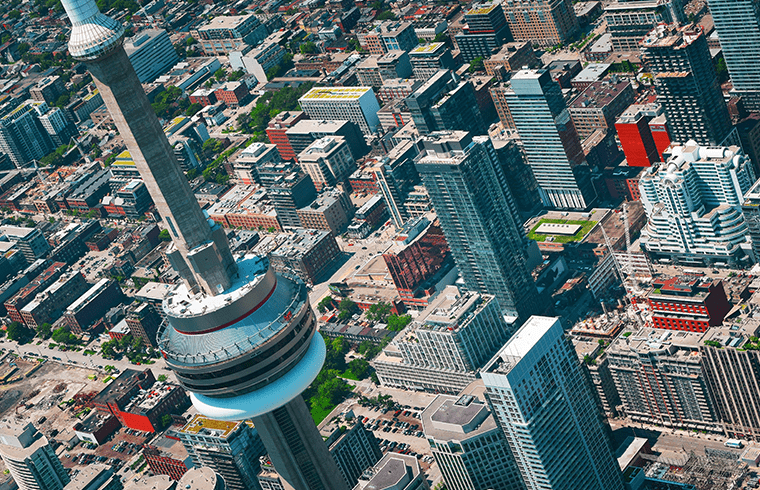 Many new immigrants arrive to Canada’s major cities, like Toronto or Vancouver. With increased competition for housing, lack of land supply partnered with population growth, the housing market will face increasing pressure. The Ontario Election occurring June 7th, 2018 also has the potential to cause some change. Under Kathleen Wynne, the Ontario Liberals have enacted the majority of policy change impacting housing directly, with the foreign buyer’s tax and rent controls. However, the Ontario PC’s have taken a deregulation stance on housing, opting to increase supply. In the event of a government switch, many of 2017’s changes could be reversed. Next Article Next post: As Temperatures Drop, Shelters Are On The Rise.